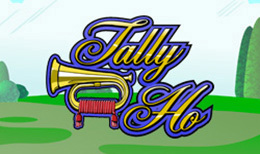 Tally Ho is an online slot game centred around the exploits of an upper-class debonair fox and his aristocratic friends. Despite not being the most modern of 5 reels this game has all the relevant features to give you an exciting gaming experience. On top of the scatters and wild bonuses you must also spin your way through 5 reels of snooty foxes, motor cars, and cucumber sandwiches to earn the respect of the wealthy foxes and win your fortune. Visionaries in the world of online slots, Microgaming created the world’s first true online casino software in the mid 90’s. Since then, they have steadily developed their gaming platform and delivered a host of varied titles to the market, adapting to and creating change from their home base on The Isle of Man. Get ready for some High-Class problems in Tally-Ho, Microgaming’s innovative online slot game that follows the snooty fun of a family of aristocratic foxes. This is a world of afternoon tea, crustless sandwiches, family crests, and luxurious mansions – home to these condescending creatures for generations, and maybe generations to come. That is, of course, unless we can intervene and steal their riches away from them! This 9 payline, 5 reel, 3 row online slot can be aristocratically activated for as little as £0.01 per bet (which would probably not impress the foxes) up to a challenging £45.00 (with which they would probably be merely indifferent, such is their wealth!). There are no card symbols in this game, just a range of rich images; Scones, Tea-Sets, the family Rolls (or, at least one of them), the Family Crest, the Mansion, Cheesecake, a Cheese-Board, and two of the family Foxes. In this game, it is also the Foxes who are the master of the Hunt, with Wild Horse symbols doubling prizes and substituting for any other symbol on the board other than the Scatter – the Horn. When this Horn is blown, it triggers a Free Spins feature, during which prizes are quadrupled for the 10 bonus spins. Graphically, the game remains simplistic, but the vibrancy of the colours involved shows the quality of the visuals. Offset against the crisp, clean white background, the visuals stand out distinctly, and are accompanied by some quality sound effects from the High-Class world of these wealthy Foxes. There is a Gamble feature built into the game and, given that these Foxes have no need for playing cards in their world, we get a good chance to win some quick 2x or 4x multipliers in a guess the suit or colour card game of chance. With the relatively low number of paylines in this online game, we tend to find the spins quickly piling up here, so the Autoplay feature may be useful to speed things up and trigger the Bonus features, which are the main chance of winning some of the Foxes’ cash. It seems that even in the fantastical world of aristocratic foxes, the rich still know how to keep hold of their money. However, there is always a chance to take some of it for ourselves! Microgaming have created an unusual setting for this online slot game, which is certainly one for playing when we fancy fast-paced spins, and regular wins. At Dream Jackpot we still appreciate a simplistic spin, for those times when we fancy a casual game or two for fun, and Microgaming have provided us with another tool with which to do so. 8/10. Click here to discover more online slot games.